This week, news broke that Criminal Minds will be getting a very special episode after the holidays. Apparently, Dr. Spencer Reid will be going on a date during the January 11 episode of the popular procedural. 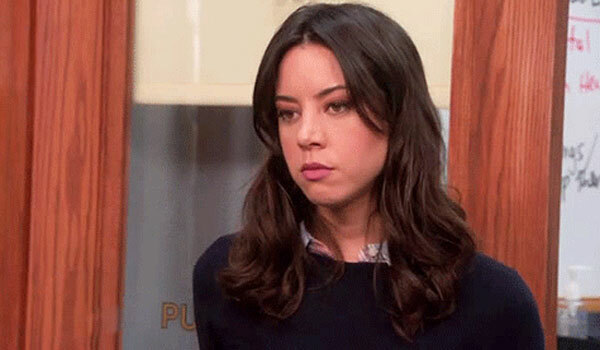 When the drama returns at midseason, Parks and Recreation and Grumpy Cat actress Aubrey Plaza has signed on for the guest-starring role, playing Spence’s date. But it isn’t what you may be thinking. As the headline suggests, Plaza’s character Cat Adams will be the date from hell. She’ll pop up in the midseason premiere as a potential love interest to Reid (at least, briefly) and they end up going out to dinner. Unfortunately, while out at dinner, Cat Adams is going to pull a gun on Reid and force him into a not-so-fun evening of attempting to save himself and the lives of the others in the restaurant. TV Line notes that the two characters will play a “game of wits,” after Cat tells Reid she knows he works for the FBI. Why she decides to act in this crazy manner and threaten the lives of Reid and the others in the restaurant remains to be seen. The last time we notably remember Spencer Reid having a love interest was with Maeve Donovan, a geneticist who was dealing with a stalker during the time of her courtship with Reid. If you can remember back to a few seasons ago, that didn’t end well, at all, so you would think Criminal Minds would give Spence Reid a break and give him a nice, kind girlfriend who is neither in danger nor dangerous. Apparently, Reid is really attracted to girls who end up in all sorts of trouble. It’s not like Reid is the only person on the show who has had partners who are dangerous or in danger, but I feel like he’s had a particularly bad run on the show. Criminal Minds has thrived on danger for a long time. The most emotive moment on the show is still probably the Season 5 moment when an enemy known as The Reaper team took down Hotch’s wife. Last season saw the BAU investigate the murder of former co-worker Jason Gideon. Plus, (former) newcomer FBI Agent Kate Callahan saw her daughter kidnapped. This season, Penelope’s basically in witness protection as she’s dealing with a hacker-oriented threat on her own life. Basically, it doesn’t shock us that Spence will have a personal threat to deal with. But I certainly didn’t see the Aubrey Plaza twist coming. On Parks and Recreation, Plaza’s character April was hardly easy to deal with, but she was able to form meaningful relationships, much to her chagrin. The actress herself is mostly thought of in relation to comedic roles, including other TV gigs on Portlandia and Welcome to Sweden, but I’m still interested in seeing what she can do on a much darker show. Criminal Minds airs on Wednesdays at 9 p.m. ET, only on CBS. To find out when all your favorites are returning at midseason, check out our midseason premiere schedule.